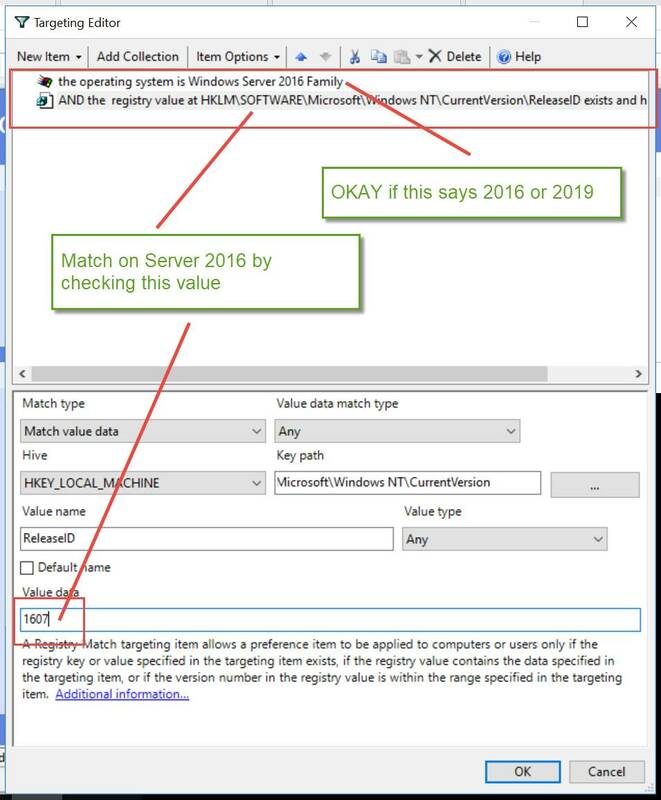 06: How do I make an Item Level Target for Server 2016 or Server 2019 (on-prem, MDM or PolicyPak Cloud?) ? 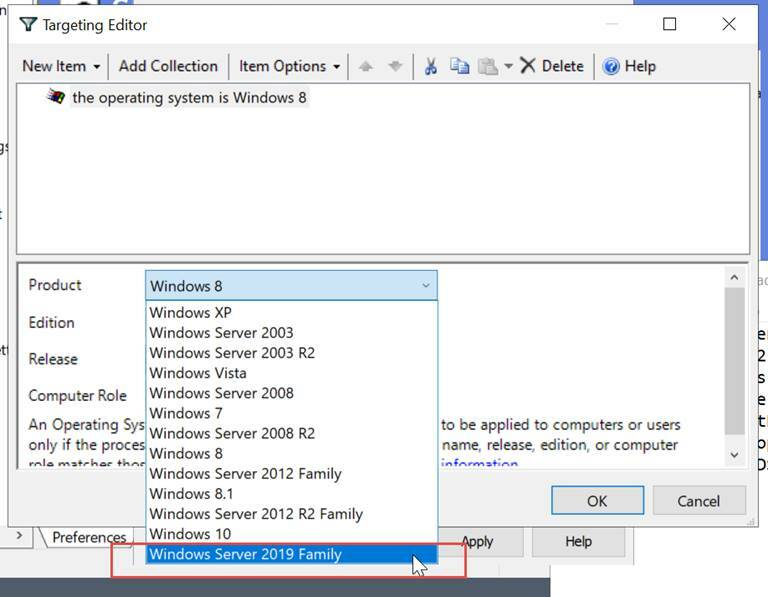 In this way, there is no distinction between 2016 and 2019 servers. This is not a PolicyPak bug, because PolicyPak is using the underlying Group Policy Preferences Item Level Targeting editor and evaluation. So you can have a SECOND item using Item Level Targeting to also check for the ReleaseID, which is the “major build number” in Windows server. 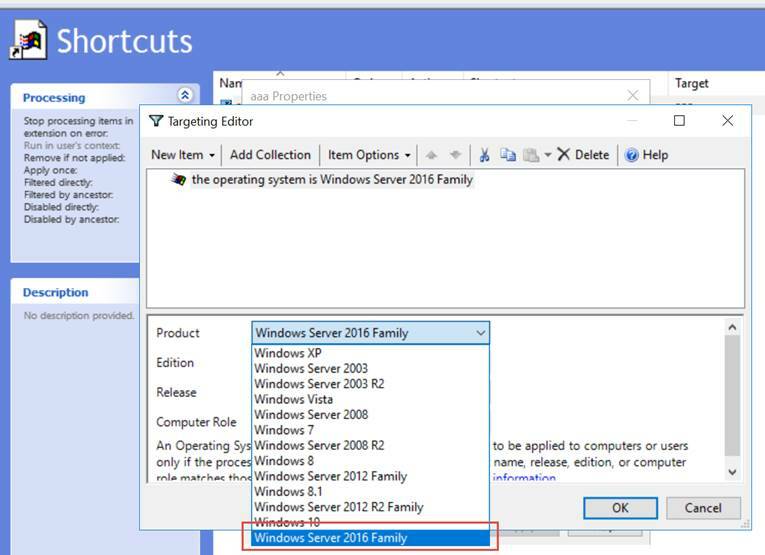 You would use 1607 to match for Server 2016. 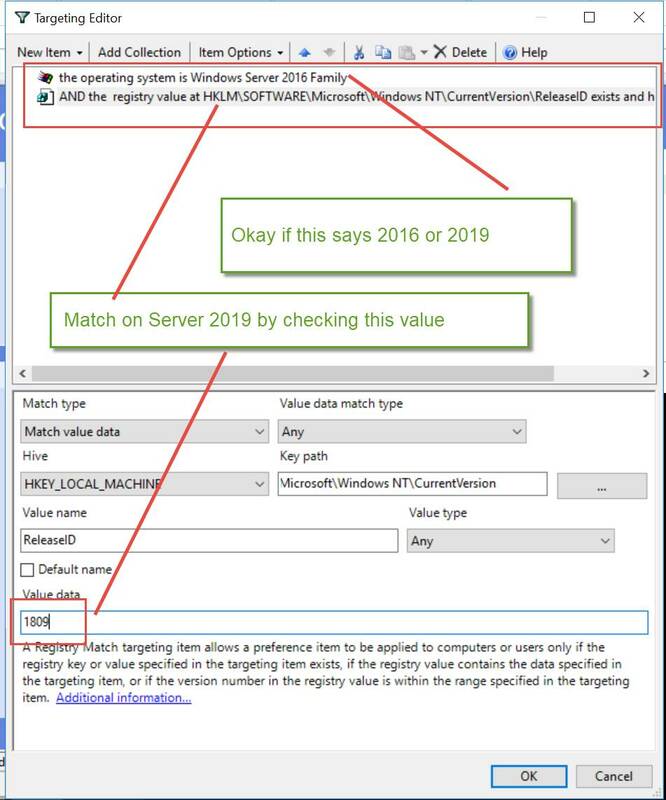 And match on Server 2019 like this..
01: How can use Item Level Targeting to apply a Group Policy Preferences or PolicyPak item when the user is NOT a member of Domain Admins and also is not a member of the local Admin group? 02: Is the “Security Group” Item Level Targeting (ILT) option recursive or not? 03: Which PolicyPak emails can / can’t I opt out of ? 04: How can I use Item Level Targeting to specify a specific Windows 10 build and/or LTSC/LTSB? 05: How can I fix MMC display problems when my admin console uses high DPI?